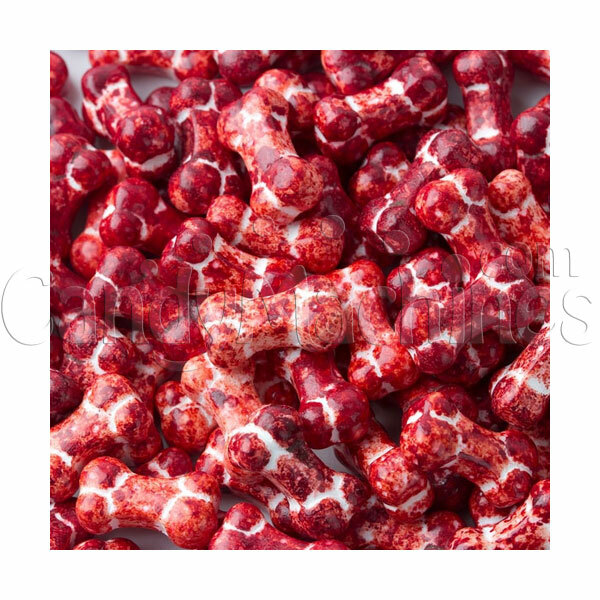 These scary candy bones are perfect for vending in candy machines year round and during the Fall Halloween season. The coating has a nicely finished sheen with a little bit of splattered red giving them the appearance of blood. They become powdery when you crunch into them. They are shaped to resemble human bones. Each bone is about 3/4 inch in length. 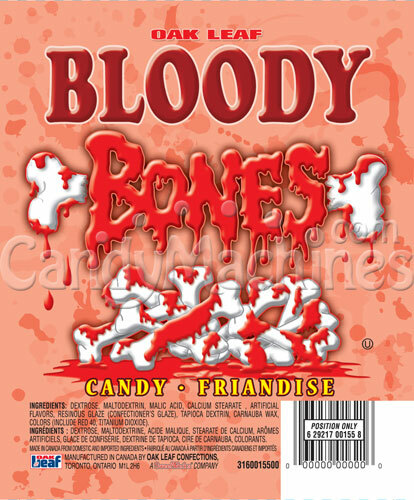 These scary tart candies are sure to be an attraction in any candy vending machine. Need a machine to vend these candies? Be sure to see our full line of candy vending machines.